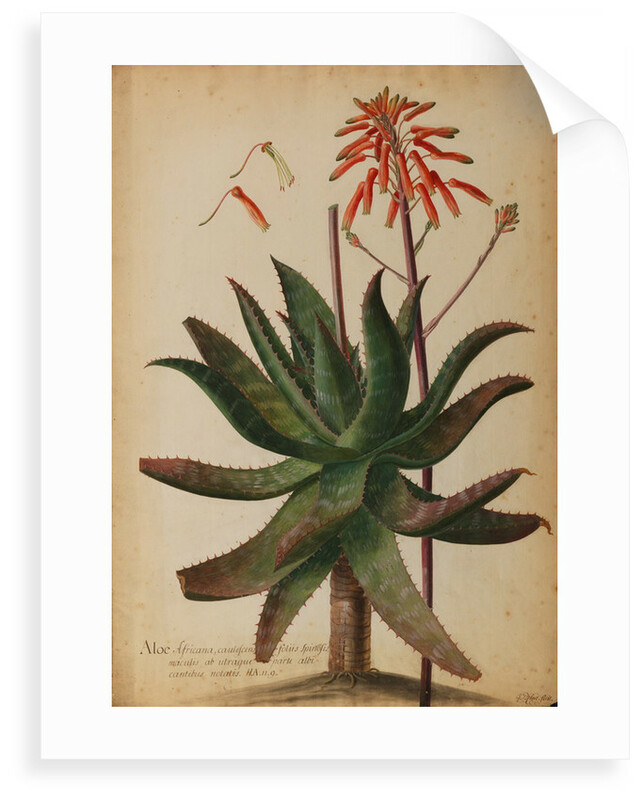 Botanical study of Aloe africana, caulescens foliis spinosis, maculis ab utraque parte albicantibus notatis [modern taxonomy Aloe saponaria, also known as the Soap Aloe or the Zebra Aloe], native to South Africa. 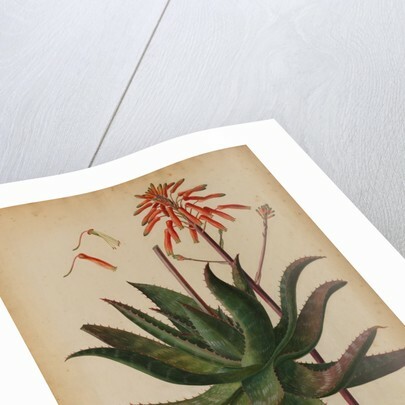 The composite study shows two overlapping sections of the succulent plant: the stalk and basal rosette of leaves, and the stalk and flower head. 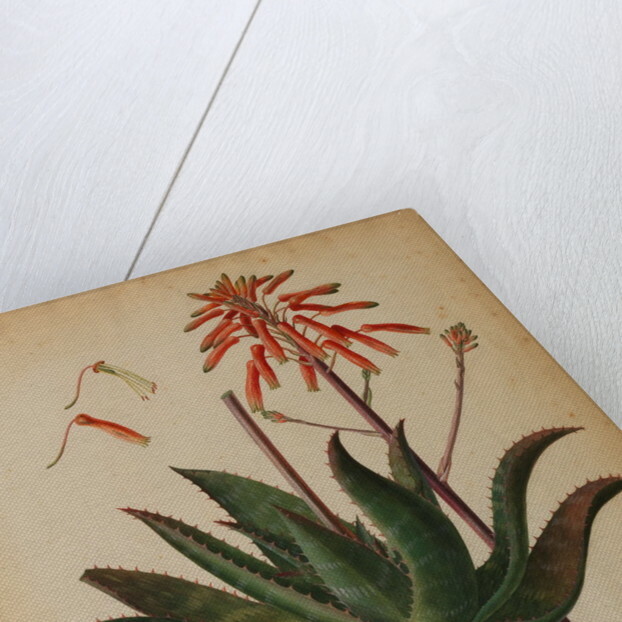 Includes additional detail of two flowers falling from the plant, one revealing the stamens of the flower. Original: ink and watercolour on paper. c.1735. 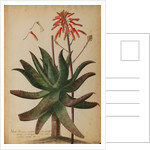 More by the artist Georg Dionysius Ehret. 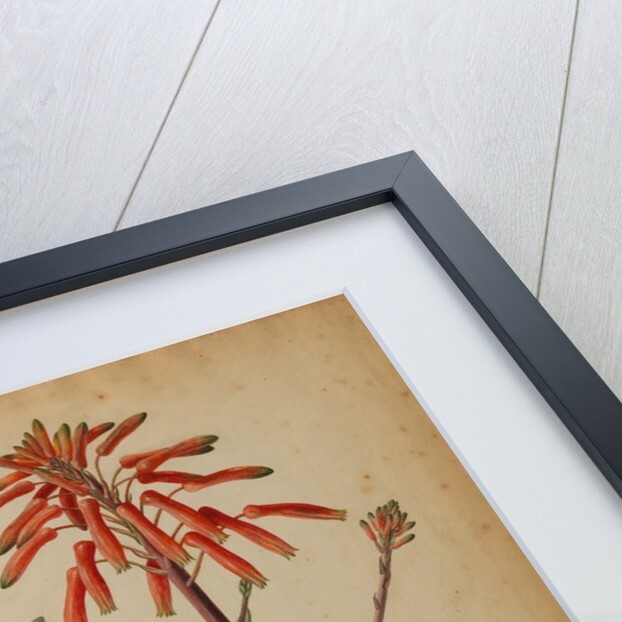 Explore the collection Botanical flower art, prints and paintings.